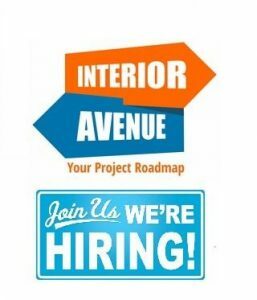 Interior Avenue is happy to announce the following positions. We only hire Visionaries. A Visionary is a new type of designer. Visionaries wage war against traditional design and the slow and painful process of billable hours, inefficient timelines and budgets. Our Visionaries create spaces everyone wants to be in. On time and on budget, we make the hard… easy. We only hire playmakers. A Playmaker is a new type of sales person. Playmakers wage war against the traditional sales process and win. Playmakers don’t use their gut and intuition they sell using science and testing. Playmakers don’t oversell and under deliver they oversell and over deliver and their middle name is value. Playmakers are doers not talkers. Playmakers are real people who have overcome real problems to achieve greatness. PLAYMAKER: I TEST, you guess, I USE SCIENCE, you use your gut, I HAVE A PLAYBOOK, you throw hail marys, I AM THE CEO OF MY TERRITORY, you are assigned a territory, I DO WHATEVER-IT-TAKES, you do your best, I CHANGE THE WORLD, you change your pay… I AM JUST ONE PLAY AWAY.